A plan has been realized! The idea began during the Festival of the Beautiful Reunion last June. 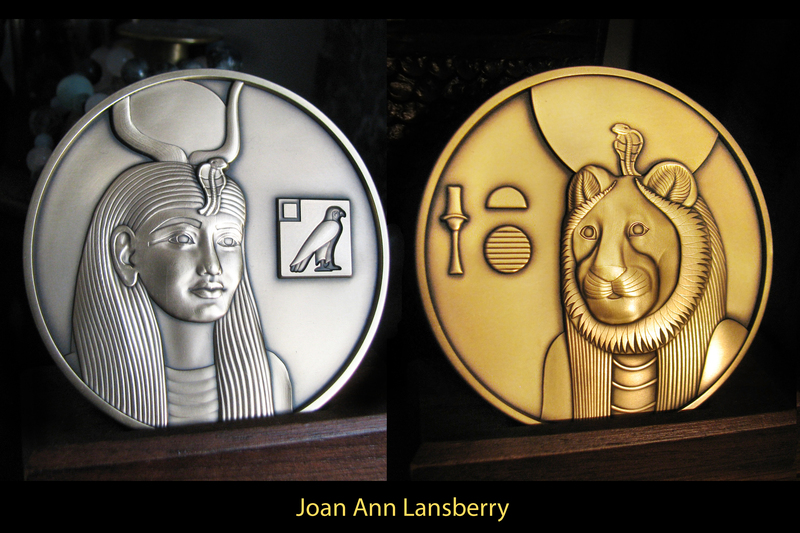 Inspired by Julia's gift to me of a coin featuring Anubis (Yinepu), and subsequent research into its designer and the medallions she crafted, I designed two rounds featuring Hethert and Sekhmet. Another view of the Sekhmet side. The true color is a gold patina, somewhere between these two views. I first started with the drawing of Sekhmet. I used museum photos of two different statues of Sekhmet at the Met museum. One had the right angle I wanted, but it lacked a crown and uraeus, so I consulted a different statue's photo to get those. 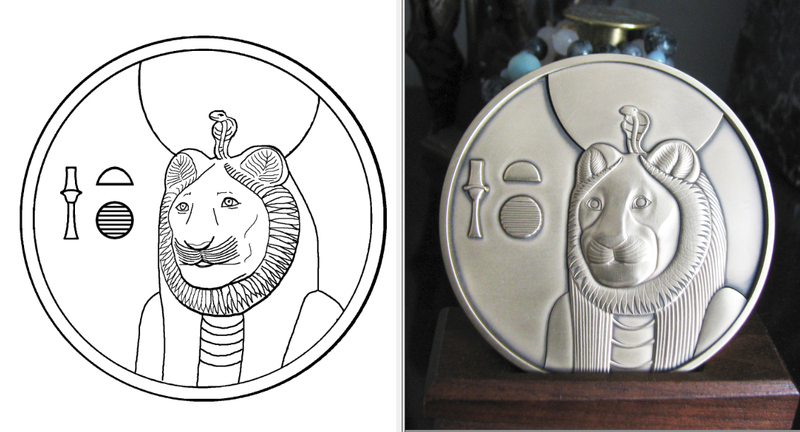 Once I got Sekhmet drawn, I started on the drawing of Hethert. I used photos of her statue at the Turin museum for guidance. 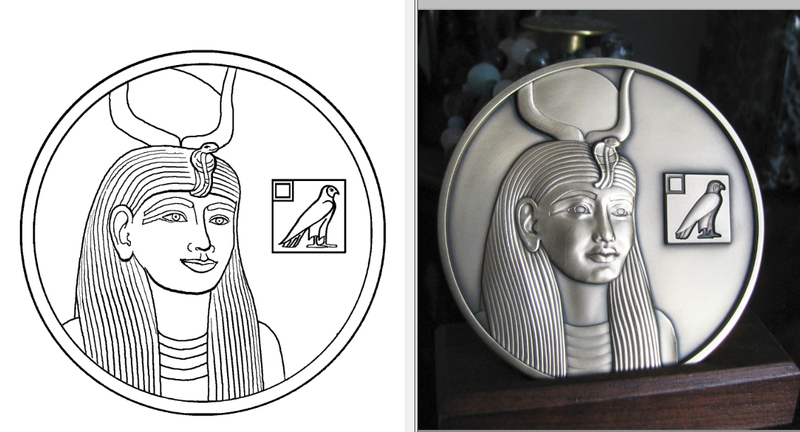 That statue of Hethert has a damaged uraeus, so I was able to flip the uraeus from the first drawing and adapt it to this drawing. 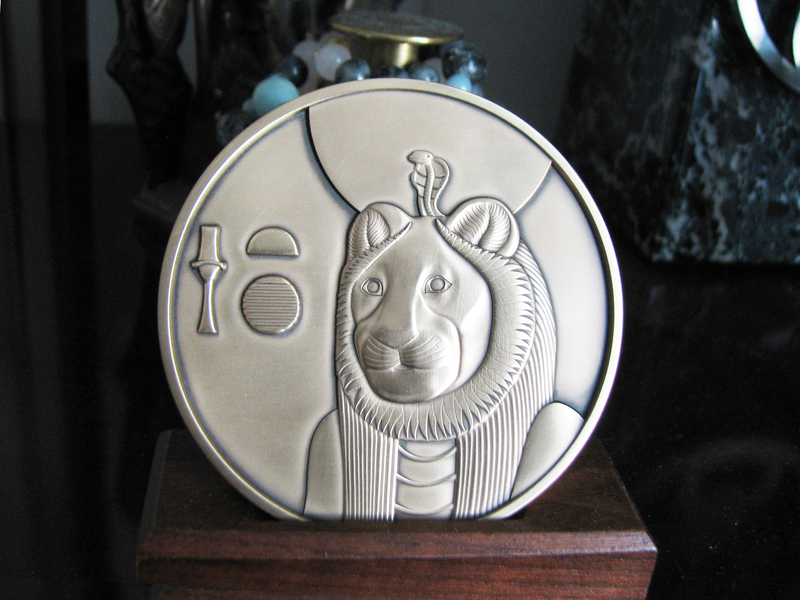 The idea is that the two Deities are "two sides of the same coin", gentle Hethert can become fierce Sekhmet, fierce Sekhmet can become appeased and soften into gentle Hethert. The designs are such that the eyes of each Deity are exactly placed to be in the same spot on either side. It's interesting to see what lines their artist kept, unaltered, except for the shaping. The artist added hairlines, (which I forgot), and did a different thing with the collar, which makes a better contrast. Also, the hieroglyphs seem a bit larger and nicer. And, a mystery. Third throne was to be for Djehuty. 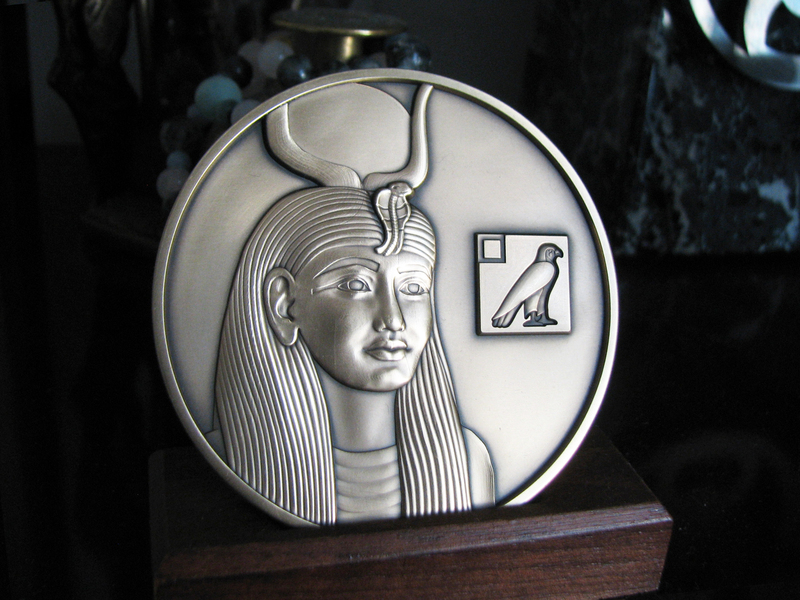 But I keep feeling an Amun-Ra vibe around it? Hmmmmmm? Go forward to What am I Thankful For?